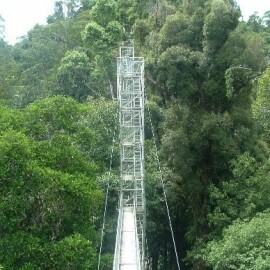 Over two decades ago Instant Upright was given the objective to construct a canopy walkway in the Temburong forest of Brunei’s first National Park. 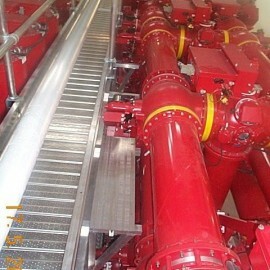 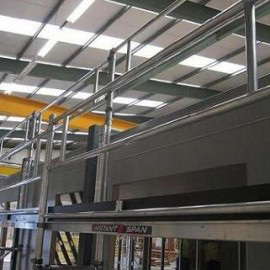 Instant upright designed and installed a series on Spandeck walkways to enable adequate access to different locations of the plant that were divided by a large void. 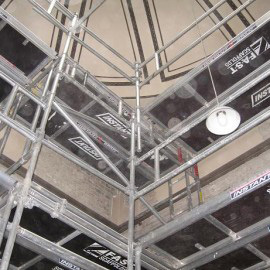 The Instant Upright Specials Engineering team was able to work quickly to design a lightweight, Spandeck platform with support frames. 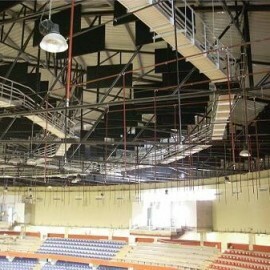 Instant Spandeck is used to provide ceiling access at the world famous Roberto Duran Gymnasium in Panama. 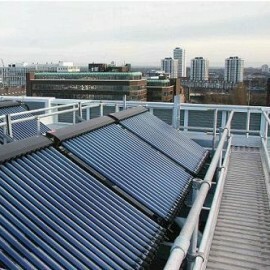 The Walkway will provide permanent access to 3m high Solar Panels which are mounted around the air-conditioning units on the highest point of the roof. 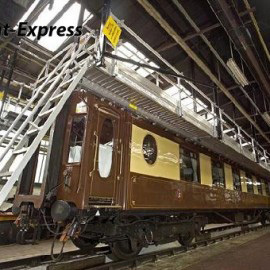 A great application where Spandeck, the Instant walkway system provides access aboard the world famous Orient Express Train. 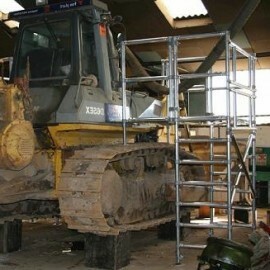 Fox Plant approached Instant UpRight to find a solution for reaching up and over their fleet of earthmoving equipment to keep them properly maintained. 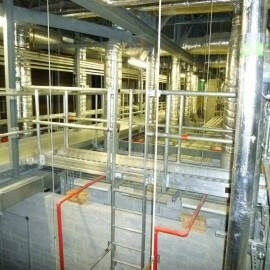 Townlink Construction the contractors carrying out the work, brought in F.A.S.T. 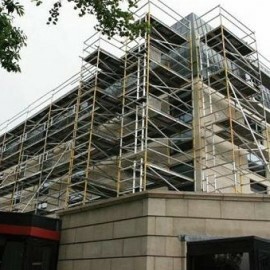 Scaffolds of Dublin to recommend a fast and safe access system.